"Yet I am deeply convinced that when we do good deeds, especially when we make real sacrifices to do this good, that something very significant happens to our soul. 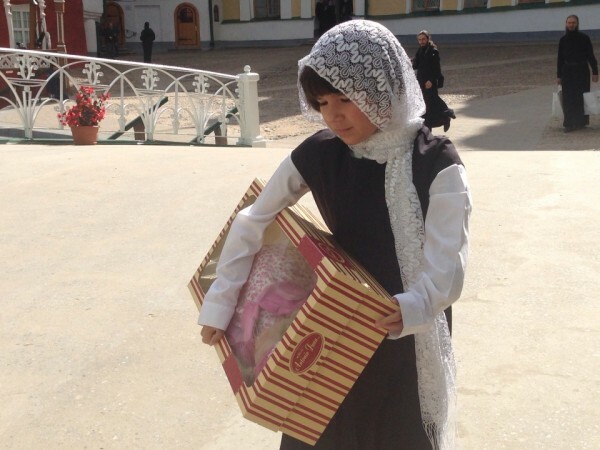 We become different"
During a visit to Izborsk, Patriarch Kirill of Moscow and All Russia gave a brief interview to the media, in which he talked about his meeting with ten-year-old Mila in the Pskov-Caves Monastery. “It is difficult for me to judge; it depends on the people who will become acquainted with Mila’s story—how closely they will take it to heart. Yet I am deeply convinced that when we do good deeds, especially when we make real sacrifices to do this good, that something very significant happens to our soul. We become different. “Today I looked at the faces of Mila’s parents – the young couple Olga and Igor, who have bright, angelic faces. If you simply look at the faces of such people, you understand everything. And will some other person find the strength inside them to adopt a girl with disabilities and raise her? To do this, you need to have a very kind, sympathetic heart. “I believe that such kindness has not left our people. There is just a lot of daily bustle, and people get caught up in this and often lose their life’s reference point. That is why I would wish to see that not only Mila’s example, but also that all the circumstances of our lives, push us towards doing good deeds.